We have designed, created and built hundreds of animated displays and Santa’s grottos over the years. As technology has improved these have evolved into experiential displays, with points of interaction to engage the visitors. 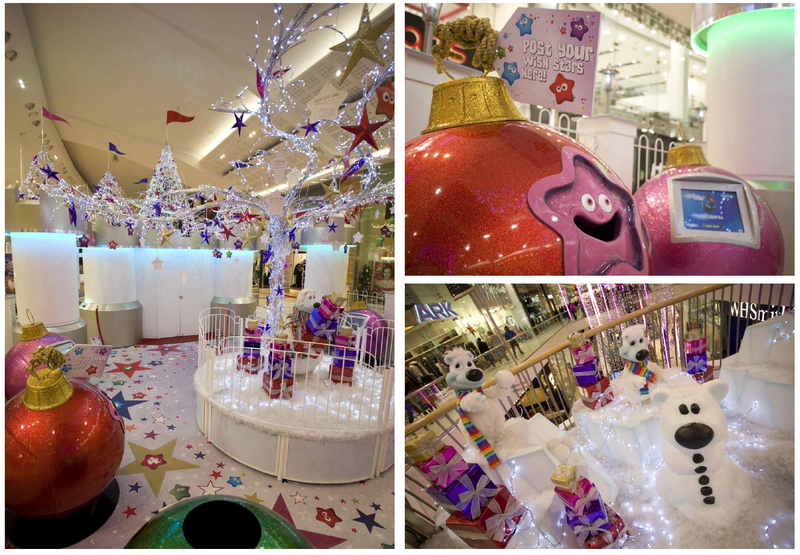 The experiential tableau and enchanted Wish Castle grotto created for Westfield Derby shopping centre was developed with multiple points of audience interaction. These offered innovative ways to inspire the visitors and keep the queue entertained on their journey to visit Santa. The Wish Upon A Star themed display featured a charity wishing well donation point, touch screen technology games with data collection function, a Wish Tree where visitor could write their wishes on the stars, a 3D interactive magical mirror with virtual reality fairy, digital photography service, and an LED colour changing dial so visitors could choose the colour of Santa’s Grotto. We were involved in the end to end process from the initial design, creative direction and contract management, through to the site survey, health and safety requirements, logistics specifications and final installation at the client site.